Our stress free property damage reconstruction serves the whole of Enfield, CT! Offering licensed and insured work, we provide clients with free estimates. Have you faced fire damage or mold growth? Leaking plumbing or natural water flooding? We can help now. Our emergency customer service is available 24/7 for our clients. No matter what disaster repairs you are facing, Sante Property Damage Reconstruction is available. 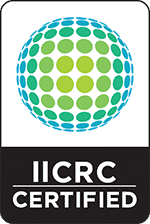 Our focus is always on our disaster reconstruction clients! Whether you are facing fire damage, storm and water damage or mold elimination, we know how to handle it. Our licensed and insured teams are trained and experienced. Understanding and kind, our customer service has helped guide countless families and business through property damage repairs. We know how heartbreaking it is to see your home or commercial property damaged. Offering emergency disaster reconstruction, our teams can get to you fast. Just give us a call, any time. We are here for your property damage reconstruction needs. Home or business fire damage reconstruction can be devastating. At Sante, we understand the issues you are facing. Smoke and soot damage, water losses, and moisture are just a handful of issues. Large items may need to be hauled away. Heirlooms may need to be salvaged. Working with your insurance company, we will cut paperwork and costs. Our trained fire damage reconstruction technicians know how to handle any situation. We will stabilize your structure, secure it, and stop the spread of the property damage. This will lower costs. The sooner you call us, the better. Let our Enfield fire damage reconstruction help you resolve home or commercial fires now! Whether from natural flooding or plumbing leaks and breaks, water property damage is overwhelming. Structural issues, mold growth, odor, and much more may be on your plate. At Sante, we work with your homeowner’s insurance to keep expenses down. We eliminate moisture and fully sanitize homes and businesses. If your water property damage repairs are intimidating, we can assist now. Our emergency water damage reconstruction is available 24/7. Give us a call today. Find our what our free estimates have to offer our water property damage clients in Enfield! Are you seeing mold damage in your home or business? Often, our mold damage repair clients have concerns about air quality and health risks. We can assess the type of mold growth you are facing and eliminate it. Our licensed and insured mold technicians are trained and knowledgeable. Our free estimates are tailored to your mold elimination project. Sante Property Damage Reconstruction halts mold at the source so it never returns again! Odor, moisture, and visible growth will be gone. Don’t hesitate to reach out to us any time, day or night for mold damage repair services. When storm damage strikes, you can count on Sante. We handle downed trees, high wind damage, thunderstorms and lightning strikes, and ice dams. If you are experiencing any property damage from severe weather, we will help. We work with insurance companies to limit costs. Providing free estimates, we do board up work and secure the property. Our trained storm damage technicians are fast and friendly. No matter what issue you are facing, our 24/7 emergency storm repairs are available. Contact us now to reduce storm damage reconstruction needs and stop the spread of damage! Put your trust in professional commercial property damage repairs! Our licensed and insured teams are available 24/7. No matter how large or small, we can handle your project. Sante Property Damage Reconstruction provides free estimates to our clients. Our commercial repair plans are tailored to you with smart solutions that work. Dedicated to quality and craftsmanship, you can count on us for fast and quality workmanship. If your commercial property has fire or water damage, mold growth, air quality concerns or any reconstruction issue, just give us a call. We can take the hassle out of commercial property damage repairs today! Honest and reliable, Sante Property Damage Reconstruction offers the Enfield community general contracting services. We include the labor, equipment, and materials in our estimates. Providing emergency general contracting repairs, we can help now. Whether your project is residential or commercial, we have more than 30 years of experience reconstructing and repairing businesses. Our teams are skilled and outfitted with the latest tools to reduce labor costs. Contact us today for a free estimate! 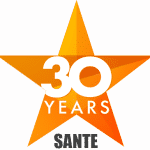 You won’t be disappointed by choosing Sante for your general contracting services. Focused on our clients, Sante Property Damage Reconstruction puts your needs first! With over 30 years of experience in property damage repair, you can trust us with fire damage, water and storm damage, and mold growth. Our Enfield, CT general contractors are dedicated to craftsmanship. With emergency disaster reconstruction services, you can call us any time, day or night. Discover the difference a professional property damage reconstruction team makes today! Does your Enfield Home or Business have Damage?